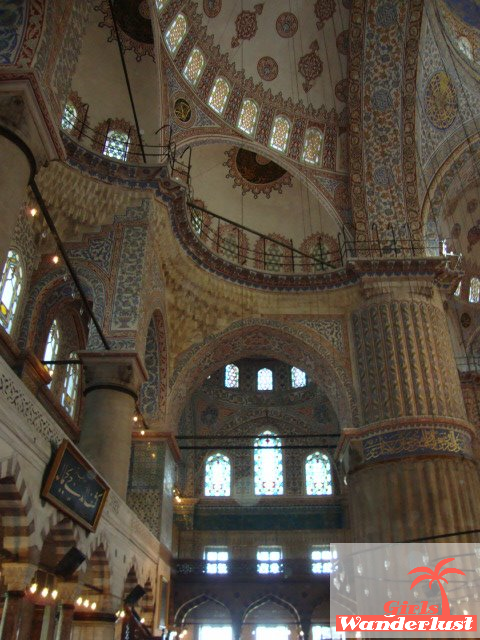 For this article I brought back memories from my trip to Istanbul in 2012. In that period, Istanbul was an upcoming city for travellers and after my trip I knew exactly why: this city is gorgeous. When you are planning a trip to this city, I would like to give you an important tip: do not just go to all the tourist attractions! Take it a step further and explore more of the city. Most of the tourist attractions are located on the Asian side of the city, but when you cross the bridge, you will get to the European side and this side also has a lot of beautiful places to offer. 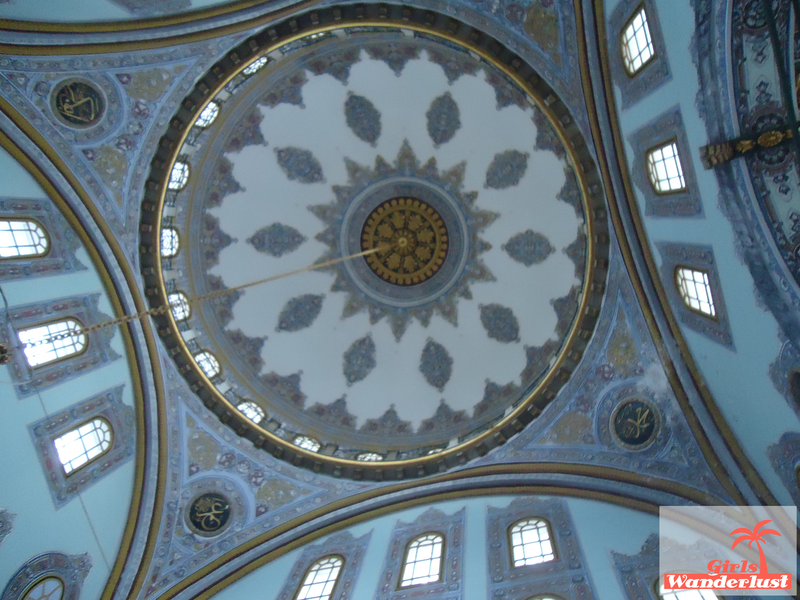 In this article I would like to give you some tips about Istanbul. I have to admit, this place is very touristic, but yet also definitely worth to visit. The Grand Bazaar is one of the biggest indoor markets in the world with 60 streets and more than 5.000 shops. The market is daily visited by 250.000 till 400.000 people. 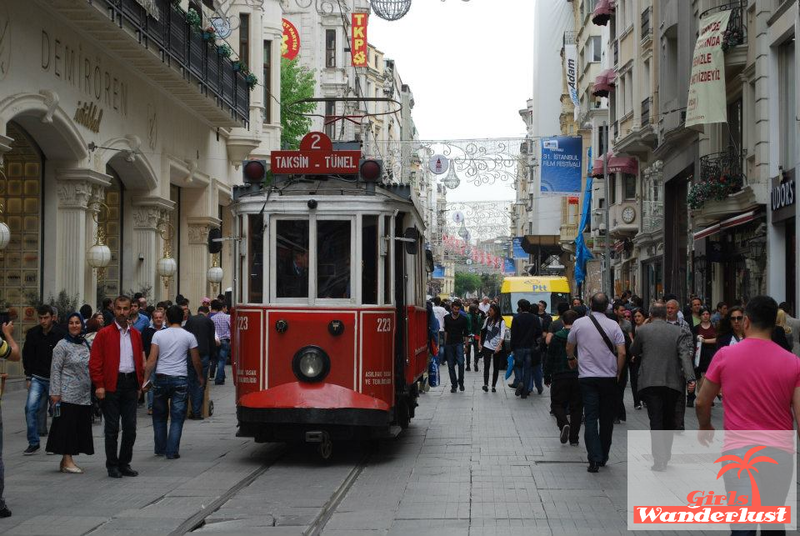 While walking through the streets, you will experience the atmosphere of the old-Istanbul. 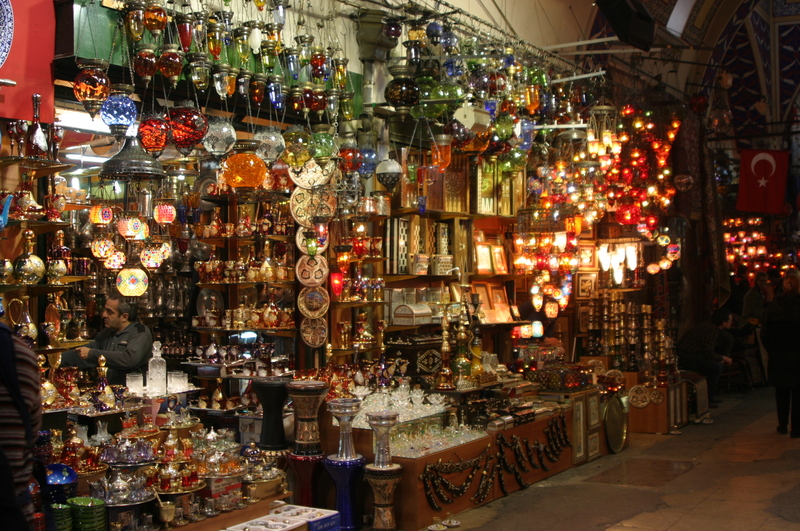 At the Grand Bazaar, you can find shops with all kinds of products, like jewels, dishware, carpets, clothes, spices and tea. Furthermore, the market features several restaurants and cafes. Since 1461, the indoor Bazaar is an important trading place. In the 16th century, the market was expanded under the regime of Sultan Suleiman and got in 1894 a big renovation as a result of a earthquake. The Grand Bazaar is opened from Monday till Saturday (9.00 a.m. till 7.00 p.m.), with free entrance and four head entrances to the market. You can find the Grand Bazaar close to the Aya Sofiya and the Blue Mosque. To be honest, I was not very impressed with the Blue mosque. From the outside, the mosque is gorgeous, but if I were you, I should not go inside the mosque. It is over crowded with people and it is not that interesting. In my opinion, you can much better go into the city and just go in a random mosque. These little mosques are more quiet and you can take your time to look around and look at all the beautiful architecture. There are so many mosques in the city, so just choose one and watch the beauty of the buildings. This café took my breath away: it almost literally takes you to paradise! The decoration in this place is just fantastic. It is very luxurious and the service is great. It is a bit more expensive than most of the cafes in the city, but it is totally worth it for one night. Most people go here to enjoy a water pipe (shisha) and to drink something. 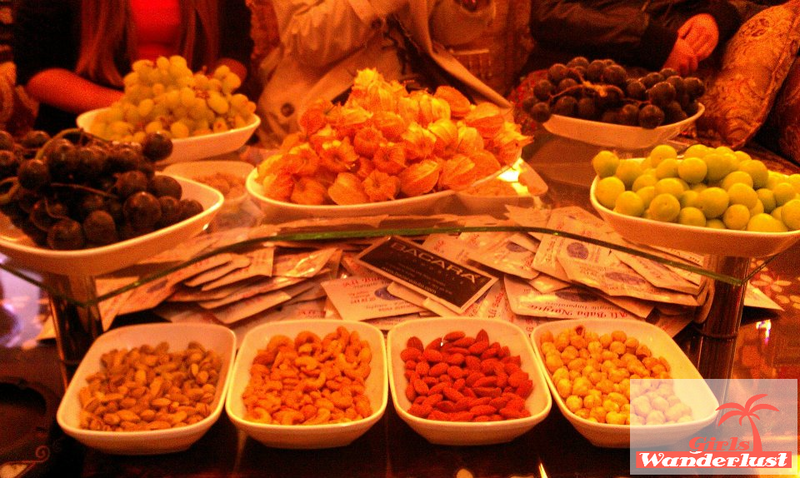 You can also order different kind of fruits and soon the entire table will be full of fruits. One tip: please watch out with swindle. I have not experienced this during my visit, but on the internet I read many reviews about tourists who got swindled during their visit to the cafe. So be careful. Despite of this little negative point, it is worth to visit anyways. I am always a fan of boat trips through cities. 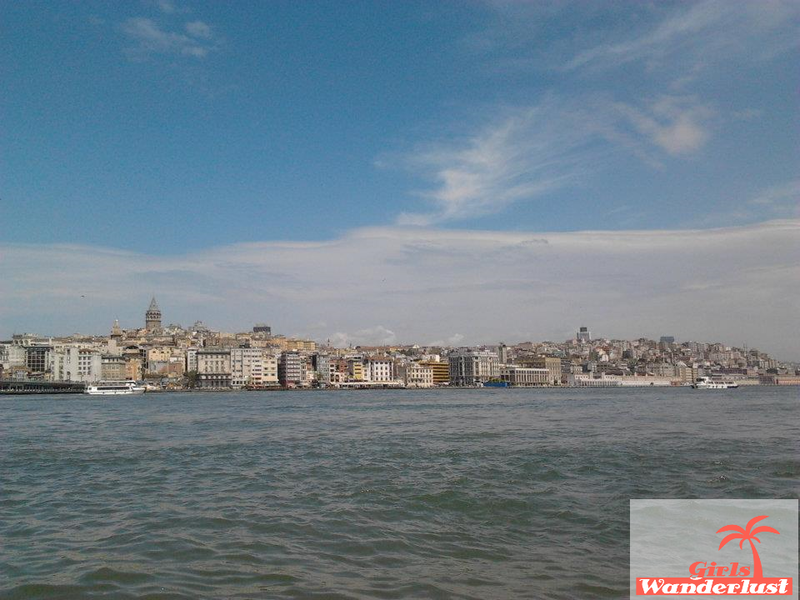 During a relaxing boat trip on the water, you can enjoy the nice view and see a lot of the city. Furthermore, during a boat trip you can make beautiful pictures of the buildings and other attractions. 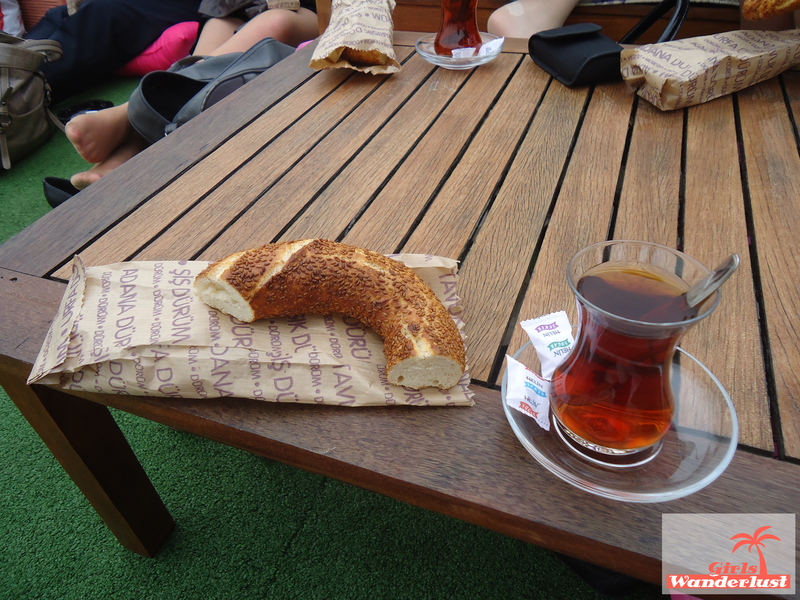 I am not sure anymore with which service we took the boat trip, but during the trip, we could enjoy a traditional piece of Turkish bread and Turkish apple tea. The apple tea is very sweet (no sugar needed), but at the same time delicious! Close to the Blue Mosque you can find the Gülhane park. Especially in spring, you can take a beautiful walk through the park. At that season, you can find all sorts of beautiful flowers in the park. Most of the flowers are tulips, which remind me a lot of my home country: The Netherlands! A lot of people think tulips are from the Netherlands, while that country is popular because of the flower, but actually the tulip is from Turkey. 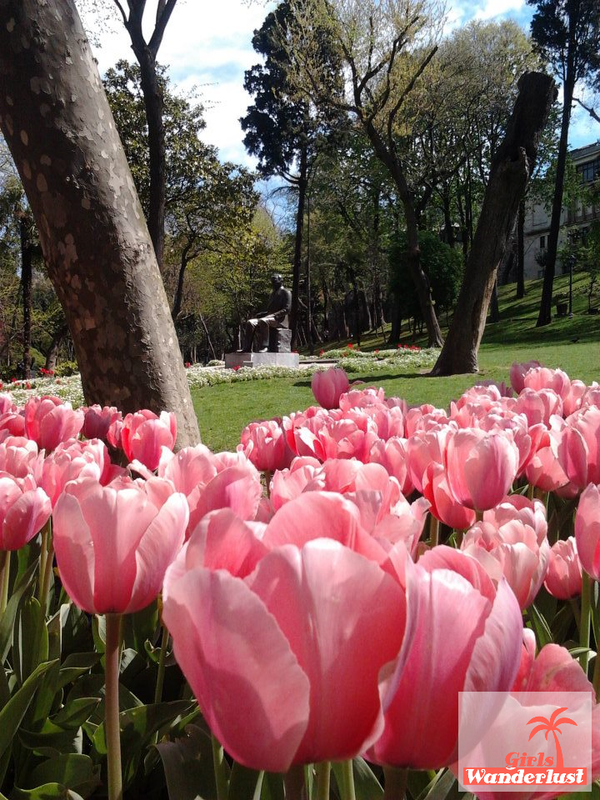 Gülhane Park was once the outer garden of Topkapi Palace. These days, locals and tourists come here to picnic under the many trees or to walk and enjoy wonderful views over the Golden Horn and Sea of Marmara from the Set Üstü Çay Bahçesi on the park’s northeastern edge. Taksim Square is the biggest and most popular shopping square of Istanbul. Around the square, you can find some big streets with international and local shops. Not only is Taksim Square popular for the many shops, but also for nightlife. The square features lots of cafes and bars. In the middle of the square, you can find the Cumhuriyet Aniti-statue. This statue is made by the Italian Pietro Canonica in honor of the foundation of the Turkish Republic. The statue is placed in 1928. There is not much to add to this one. The Bosphorus Bridge by night is just a breathtaking view! The bridge is fully lighted and very photogenic at that point. The Aya Sophia is a former cathedral and mosque, but nowadays it is a museum. You can find the Aya Sophia just across the Blue Mosque in the district Sultanahmet. The building is part of the UNESCO World Heritage list and has some beautiful architecture. It is also definitely worth to visit from the inside, because inside the building you will see beautiful architecture. The Aya Sophia is consecrated as a church 537 and in 1453 converted to a mosque by Mehmet the Conqueror. In 1935 it was declared a museum by Atatürk. Would you like to stay in a hotel close to everything? 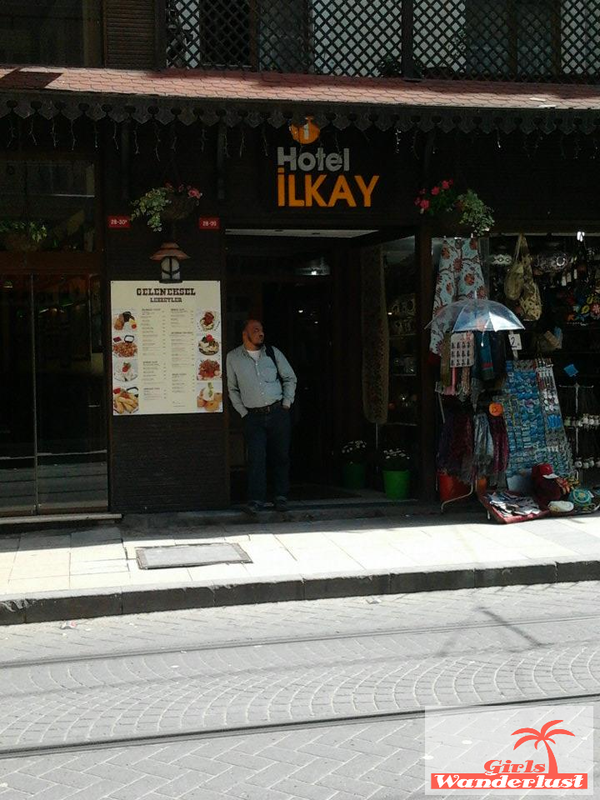 During my trip, I slept in hotel Ilkay: a very simple hotel, but everything was great and you have shops and tourist attractions at walking distance. Furthermore, the hotel is located at the edge of the Asian part of Istanbul. At walking distance you have the Bospurus and you can go over the bridge to the European part of the city. In the street where hotel Ilkay is located, you can find many restaurants and cafes where you can drink something or enjoy a water pipe (shisha). Another small tip and recommendation: Across the hotel, you will find a street that is going upw ards. When you walk in the street, at the right side you find a nice restaurant and bar (unfortunately I forgot the name). Here you have a rooftop garden where you can sit on pillows and enjoy your evening. 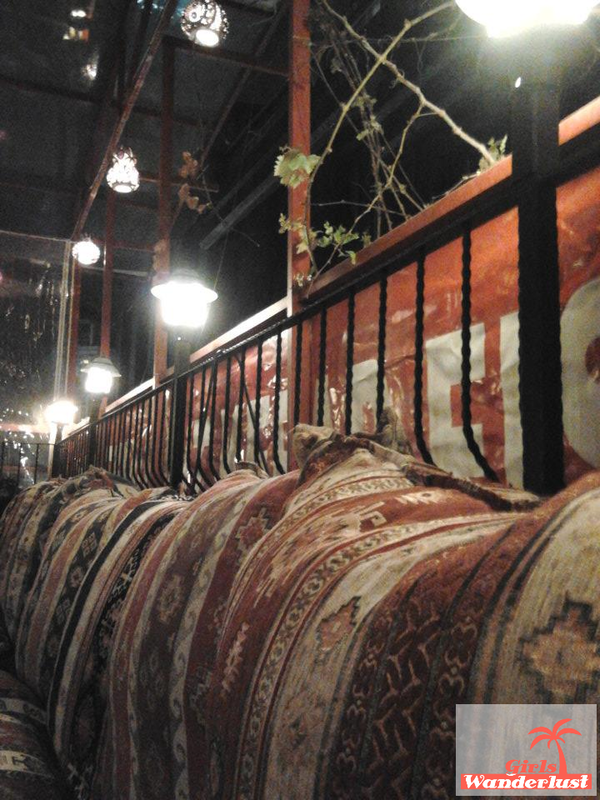 The atmosphere is really great; the rooftop garden is decorated with typical Turkish accessories.